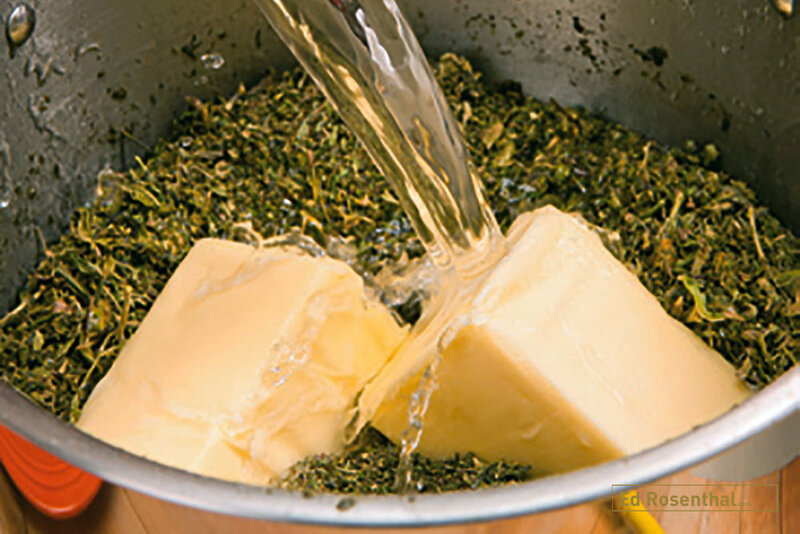 Butter is a great way to add marijuana to any recipe that calls for butter or oil. 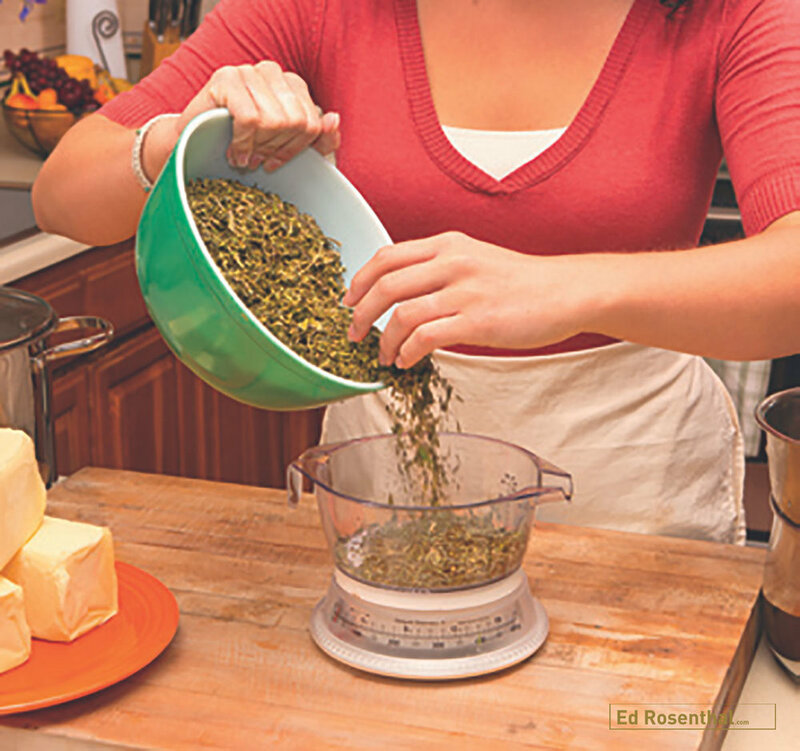 Try it in your own recipes and learn to make your favorite foods into delicious medicines. Note: THC evaporates at 380° so keep recipes at a safe 350°. Boiling point is 212°, so it’s okay to cook at a rapid boil or a strong sauté. 1. Weigh desired amount of plant material on scale. 2. 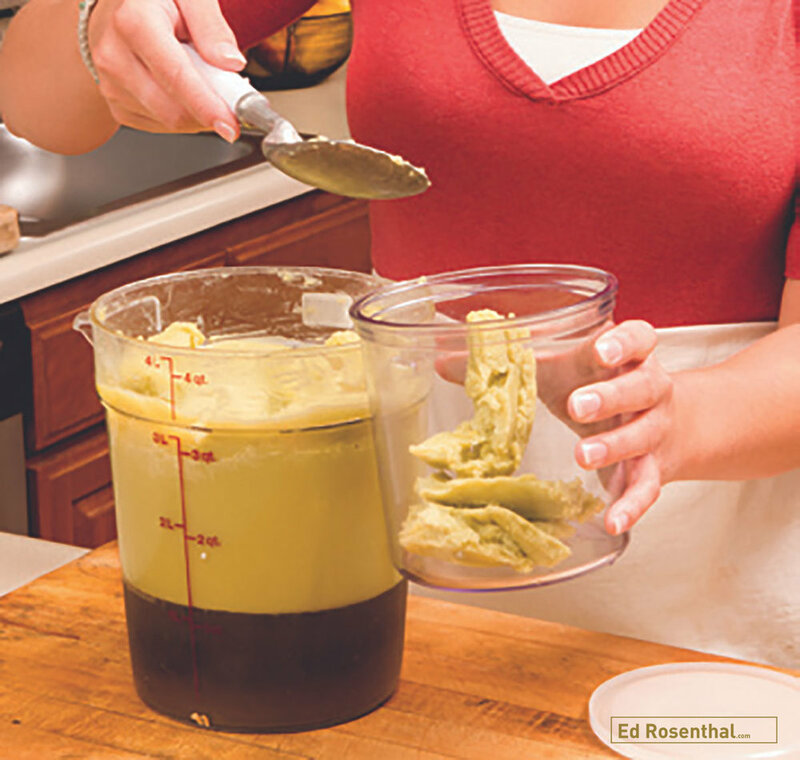 Combine the ingredients in a 5-quart stock pot. 3. Bring the ingredients to a slow boil where they will begin to conjoin in love and happiness. 4. Reduce heat and let the mixture simmer with no lid for 3–4 hours. the marijuana mixture will cook down to a concentrated level and most of the water will dissipate. if water evaporates before 3 hours, add one cup more. the idea is too cook off as much liquid as possible without burning the plant material. 5. Turn off the stove. 6. In a second pot or catch pot you will strain the plant material from the butter and liquid mixture using a common kitchen strainer or colander. 7. Place the strainer over the pot and allow the liquids to drain into it. 8. 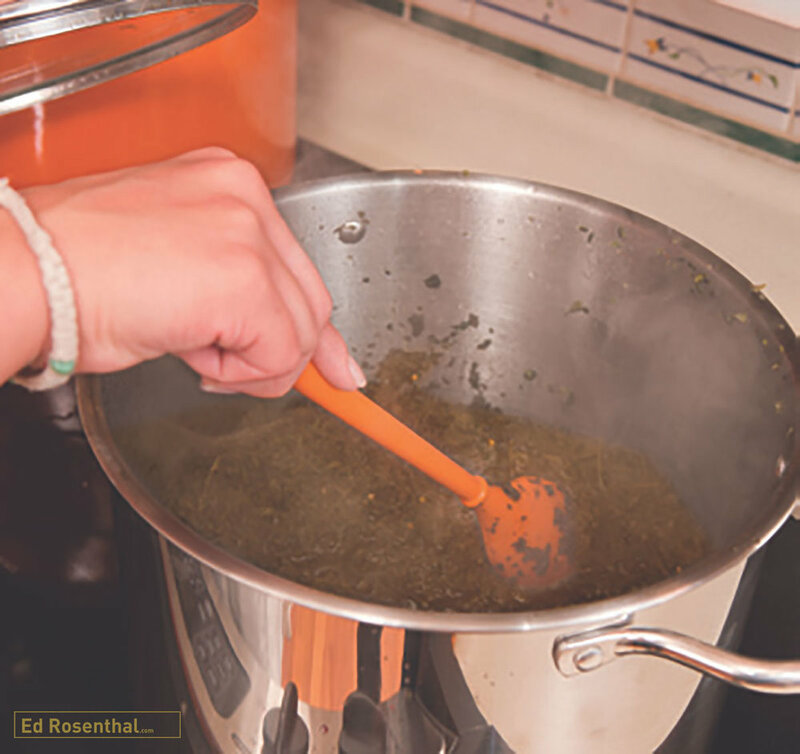 Using a blunt, ﬁrm object such as a potato masher or stiff spoon apply pressure to the remaining plant material to extract the remaining cannabis butter. 9. Allow mixture to cool to where it can be handled. 10. Using cheesecloth to strain the remaining butter from the plant material is suggested. Wrap a piece of the cheesecloth around the remaining plant material until there are no areas that leaf or shake can escape. Squeeze the material to separate the remaining butter into the pot. Use gloves to avoid absorption into skin, which at concentrated levels can produce psychoactive effects. Note: If there is any noticeable plant material remaining in the butter-liquid mixture it may be necessary to restrain the mix. 11. Place the liquid butter mixture into the refrigerator to cool (normally overnight). The butter will congeal and separate from the remaining water mix. 12. Remove the solidiﬁed butter from the water with an ice cream scoop or big spoon. Be sure to remove all loose pieces from the water. 13. The beautiful amber-colored water can be saved for use in other recipes. 14. Let the butter dry or pat with a paper towel to remove leftover moisture. 15. Store the butter in appropriate food storage containers and/or food storage bags. Butter can be melted brieﬂy if needed to accommodate storage. You can measure it into one-cup containers for convenience. The shelf life of Aunt Sandy’s 10x Cannabutter is roughly three months refrigerated, six months in the freezer. Want to learn the secrets of Aunt Sandy? Get adaptations for diabetic, gluten-free, vegetarian and other specialty diets. Learn how to adjust the potency for a safe and enjoyable experience. Aunt Sandy gives you 49 recipes of family favorites such as the Dizzy Bird stuffed turkey, that show you how to cook with marijuana safely and deliciously. Official course book at Oaksterdam University.